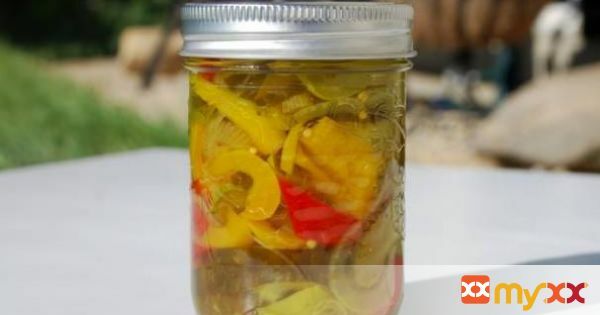 This is a sweet tangy pepper onion pickle! 1. Combine all the vegetables in a large bowl. 2. Cover with salt and water and allow to soak 3 hours. Drain. Add all to a large pot. Bring to a boiling point. Put in hot jars and seal with lids. Process in a boiling water bath for 20 minutes.